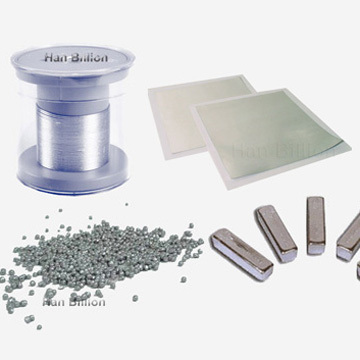 Indium sheet is widely used for heatsinks like laser diodes, and is also ideal for creating cryogenic vacuum seals. High quality Indium sheet is available in many sizes, or they can be custom made to customers' requirements. We make Indium sheets in width up to 400mm. We also custom-cut sheets in larger sizes or special shapes. The most requested sizes are 0.1x100x100mm, 0.1x150x150mm, 0.2x100x100mm, etc.